Do your ears ring, hiss, hum ,roar ,click, chirp or buzz? Noises of the ear or the head are termed a” tinnitus”. While approximately 15% of the population complain of tinnitus only 2% complain their tinnitus is bothersome and seek treatment or relief. We have all likely experienced tinnitus associated with a cold……you know: “I feel all plugged up and my ears are ringing” and then it all goes away. For some of us it never goes away. What causes tinnitus and what can be done is the subject of this article. For years generic recommendations for people complaining of bothersome tinnitus have been to cut down on stimulants such as coffee and tea or depressants as in alcohol. It was also advised to lower salt intake and stop smoking. Daily high doses of aspirin for arthritis treatment were known as a cause of tinnitus. Today there are over 200 pharmaceutical drugs known to cause tinnitus. If you have noticed the onset of a persistent tinnitus and you have had a recent change in pharmaceutical treatment, discuss it with your doctor. 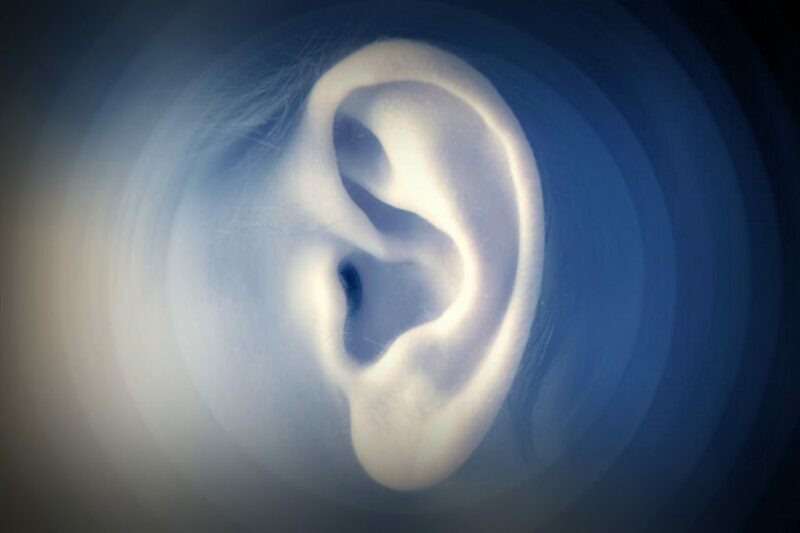 Other attempts at treating complaints of tinnitus have been through the use of ginko biloba, melantonin, zinc and other dietary supplements has met with dubious outcomes. Pharmaceutical treatment for tinnitus has also not proved worthwhile. The American Academy of Otolaryngology has set new guidelines for the treatment of bothersome tinnitus (Otolaryngology – Head and neck Surgery 2014 vol. 151 (2s)). The panel recommends against (a) antidepressants, anticonvulsants, anxiolitics, or intratympanic medications (b) ginko biloba, melantonin, zinc, or other dietary supplements and (c) transcranial magnetic stimulation for the routine treatment of bothersome tinnitus. Recommendation of the panel are to (a) carry out a complete audiologic assessment on the patient to identify possible treatable conditions which are causing the tinnitus and (b) recommend sound therapy. If you are bothered by tinnitus book an appointment today for a thorough tinnitus assessment. As far as an Audiologist goes, our help is in identifying the cause of the tinnitus and whether there is a medically treatable component to it for the medical management of the complaint. Where the basis or originator of the tinnitus does not have a medically treatable cause the audiologist can determine whether masking or sound therapy will have any beneficial effect. Masking therapy is the only successful attempt at providing relief to bothersome tinnitus that exists to date. Masking is the use of making sound cover up or mask out the tinnitus. Tinnitus may be most obvious and annoying in quiet and therefore is usually associated with difficulty getting to sleep at night. In this case the use of leaving a TV or radio playing may provide some relief or may be just as distracting as the tinnitus. Other forms of masking can be what is known as a bedside sound generator. These devices produce noises of various qualities such as the sound of rain or ocean waves etc. and generally cost $50 to $100. Where your tinnitus annoyance is constant….all day, never getting relief from it, and significant hearing loss is present the use of hearing aids is the most effective method of suppressing tinnitus and provides correction to your hearing at the same time. Where hearing aid use by itself is not enough, hearing aids can be fit with tinnitus masking generators specifically designed to mask your tinnitus. There can be many causes of tinnitus. However they can be grouped into one of four, what I term originators. They are Cochlear, Conductive, Vascular and Central. The most common source for tinnitus tends to be cochlear. The cochlea is the portion of the inner ear that changes airborne sound into electrochemical energy. Damage to the cochlea through noise, aging, drugs, virus or disease can cause tinnitus. A cochlear site as the originator of the tinnitus generally responds to masking therapy. 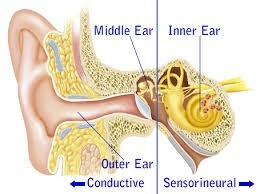 The conductive mechanism of the ear includes the ear canal and the middle ear comprised of the eardrum and ossicles or bone structure which carries the vibration from the eardrum to the cochlea. Problems of the middle ear may be as simple as a temporary cold, to ear infection or other disease. Tinnitus which has a conductive originator tends not to respond well to masking therapy but some of the conditions causing the tinnitus may be medically treatable. This is where blood flow is the originator. Tinnitus which is pulsing or whooshing may have a vascular originator. Pulsatile tinnitus does not respond favourably to masking. Consult your physician about further determination of cause and treatment. A central originator tinnitus is typically described as a head sensation rather than an ear sensation. It is most common the elderly and masking therapy has no effect. Although the cause of central originating tinnitus can be investigated medically treatment is not typically indicated or successful and is likely due to age related deterioration of some of the central auditory structures of the brain and central nervous system.